I can't believe how quickly the holidays are approaching -- I really need to get working on finishing up my gift guides! Today's guide is full of ideas that are perfect for roommates, friends, coworkers, secret santa swaps, or as stocking stuffers. I know I'd love to receive any (or all) of them! I'm especially loving this mini cocktail shaker, these adorable milk glasses, and this universal skin salve. Grab your wallets and try not to get trampled -- Black Friday is here! Although I'm not one for midnight shopping I can't resist hitting up some of the sales in the afternoon once people have calmed down a bit. This weekend's sales definitely don't disappoint, check out below for the offers at my favorite stores! 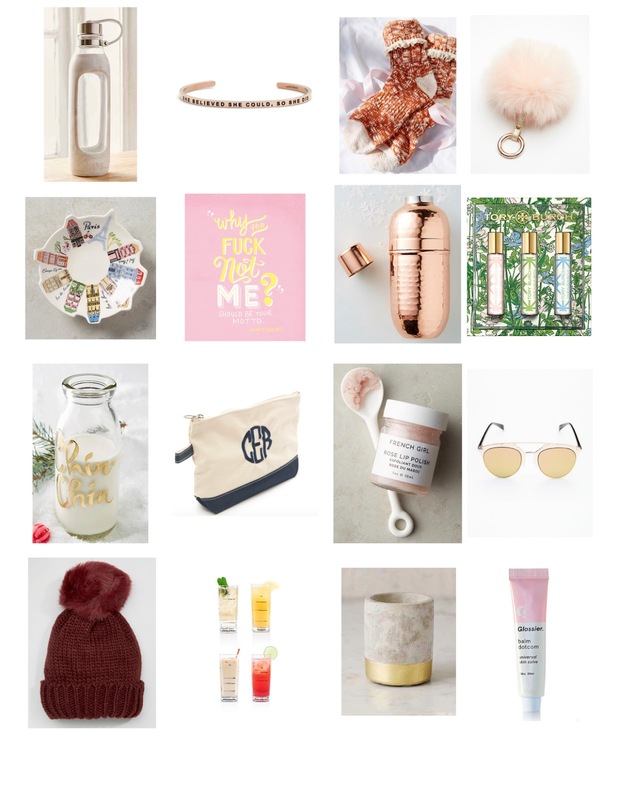 I know, I know, it's not even Thanksgiving yet and here I am with a gift guide. But, in all fairness, if you're looking to get a personalized or monogrammed gift for someone, it's best to get a head start as they usually take longer reach your doorstep. Plus, in the off chance the company messes up your order, you'll have plenty of time to get it corrected. 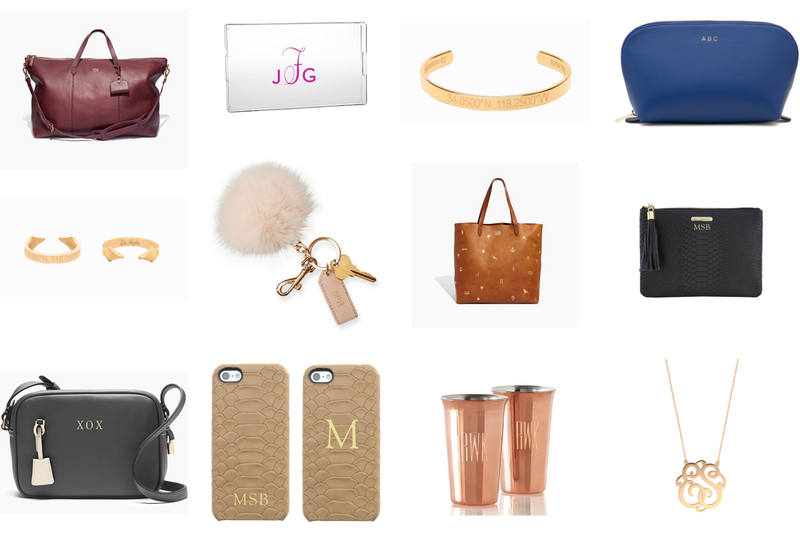 I've rounded up some of my favorite personalized gifts below to give you some inspiration for all price points. 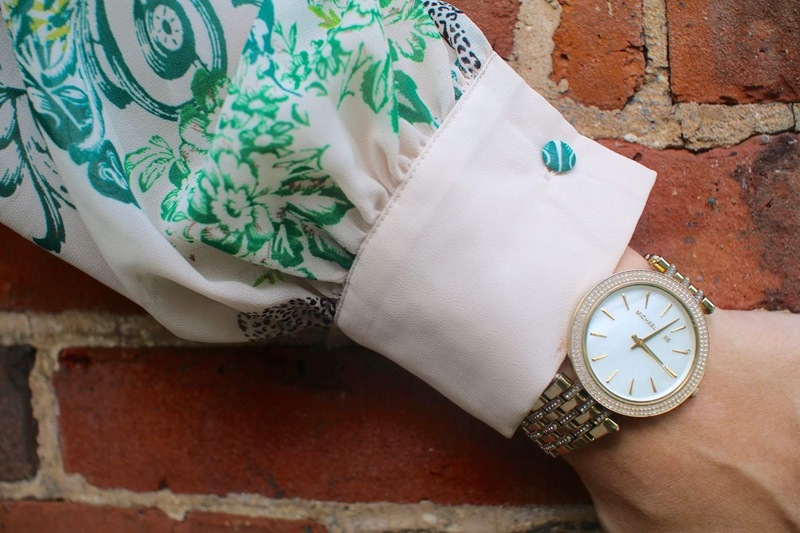 I've personally had my eye on this Coordinate Collection bracelet and this ring (both 25% off right now) for a while... I just need to decide on actual coordinates! And, I just can't resist this adorable pompom keychain as a stocking stuffer. Also, most of these items come in a variety of colors and monogram styles! For some reason this season I have been completely forgetting about J.Crew Factory. I've picked up some amazing deals there in the past, so I'm not sure what happened. 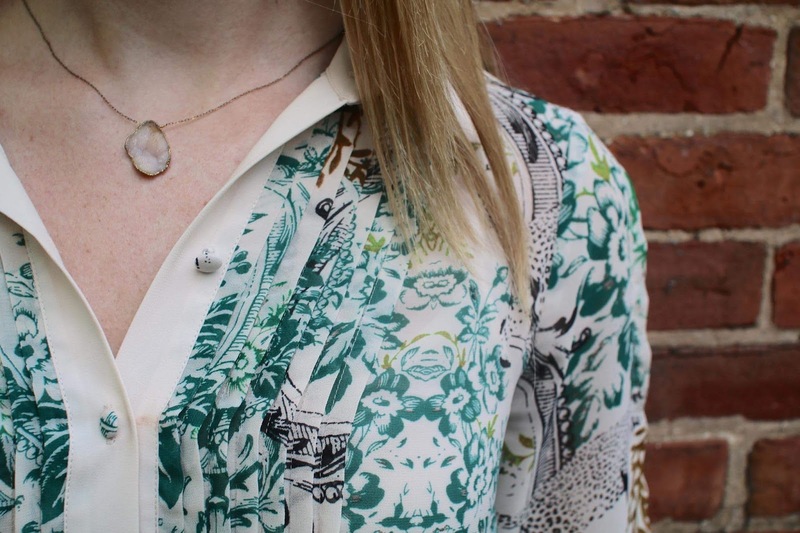 I have noticed, though, that I much prefer going to the brick-and-mortar outlet stores than I do shopping online, because sometimes the sizes can be off or the styles just fall flat on me. That being said, they seem to have some great items in their collection this season! Plus, the fact that they're currently having 40% off everything in stores and online and an extra 50% off clearance items doesn't hurt either. I've rounded up some of my favorites below. Best part? They're all under $60, making them perfect options for gifts... or to keep for yourself ;) Sale ends tonight at midnight! 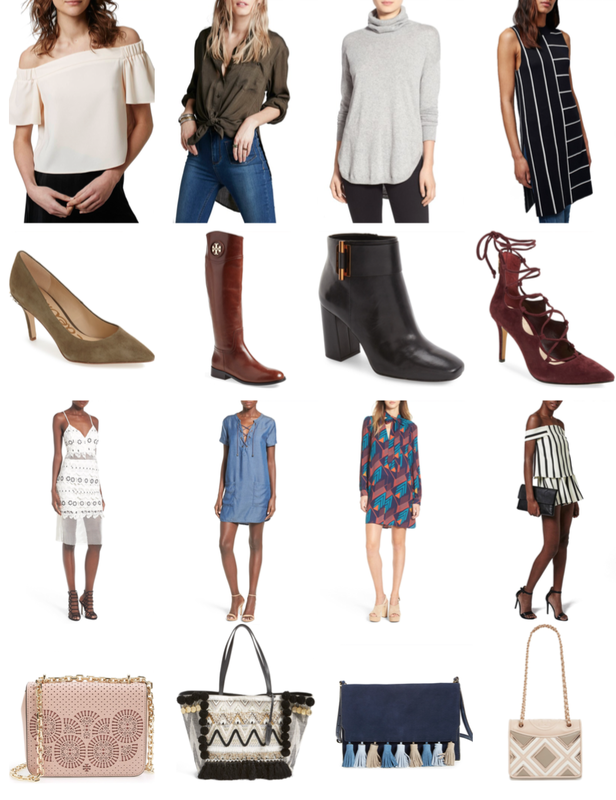 Just in time for everyone to start thinking about their holiday wish lists, Nordstrom's Fall Clearance Sale is back and chock full of great steals and deals. With savings up to 40% off, they aren't exactly giving things away, but there are still significant price cuts to be had. Since there's so much on sale, I would recommend filtering the results by your favorite brands to speed things up. 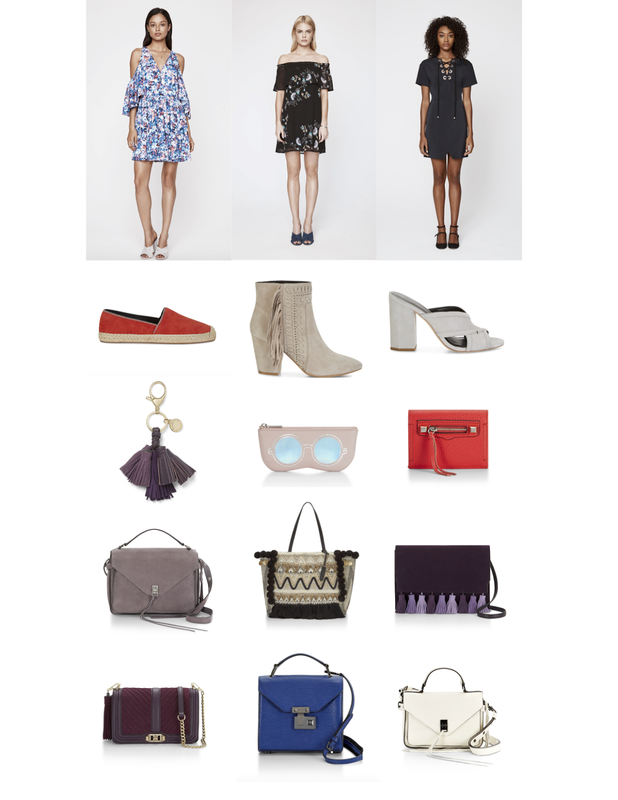 Or you can check out my cheat sheet below of some of my favorite pieces! I'm especially eyeing this incredible cape, these lace-up heels, and this retro shirt dress. To the dismay of my wallet, the time has come for another one of Rebecca Minkoff's sample sales. Although the main event is taking place in NYC, for those of us in the middle of nowhere, there's also an online counterpart with a wide variety of items. You can't go wrong with anything from her line, but I went through and picked some of my favorites. Check out the sale for yourself -- there's everything from apparel to shoes to backpacks (in addition to her usual handbag selection) with prices up to 75% off. I think we may finally be getting into some actual fall weather, so J.Crew's latest sale couldn't have better timing. 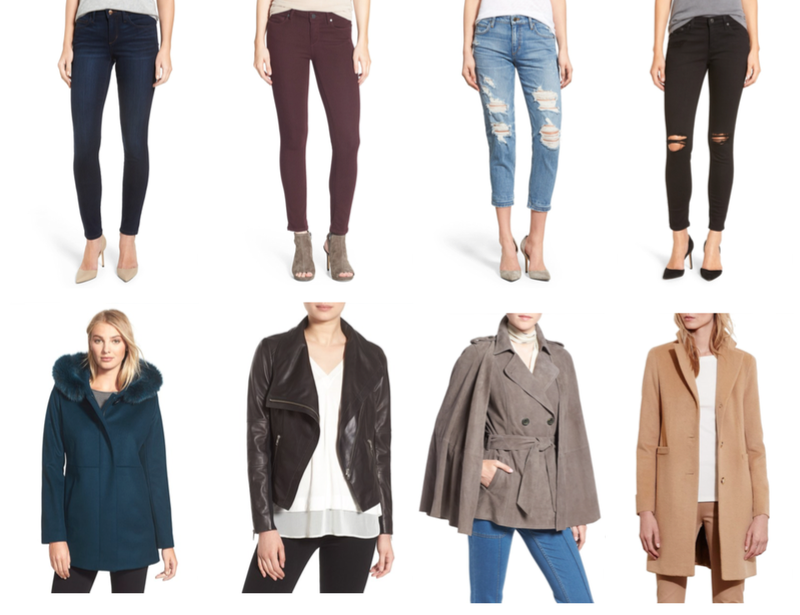 With 25% off when you spend over $125 and 30% off when you spend over $200, I'm thinking it's prime time to pick up an investment piece like their famous cocoon coat or a splurge-worthy cashmere sweater. Or send out a not-so-light suggestion to friends and family for some early gift ideas? Worth a shot, I think. I've rounded up some of my other cold-weather favorites below. Don't forget to use the code SHOPMORE, the sale ends Tuesday night at 11:59pm! p.s. follow me on Instagram @blondebowhemian ! You know when you see something and you just have to have it but also have no occasion to wear it? That was me with this dress when I saw it on Anthropologie's website for an additional 40% off the already reduced price. 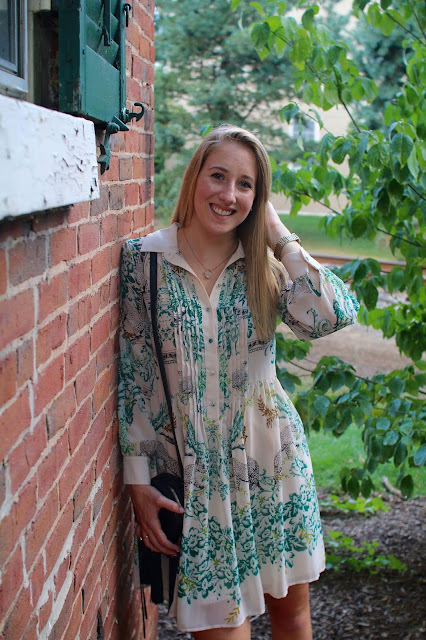 I began making up reasons in my head for why I needed it: as a work wardrobe addition (I'm a student), for dinner parties (I don't get invited to those), or maybe for some Carrie Bradshaw-esque cosmopolitan event (I go to school in the middle of rural PA). Whatever, I had to have it, so the order was placed and soon enough it was hanging gracefully in my closet, with no future in sight besides me pulling it out every once in a while to stare longingly at it (I'm kidding, kind of). Our campus job fair, however, came around and I jumped at the chance to wear it. With its collar and button-down front, I thought it was perfect for this event, while the unusual print and flowy shape made it unique and memorable. A recruiter I met at the fair still remembered me a few weeks later when I met him again, so I'm going to chalk it up to this dress! Can you believe tomorrow marks the first day of fall?! I literally don't know where the time has gone. 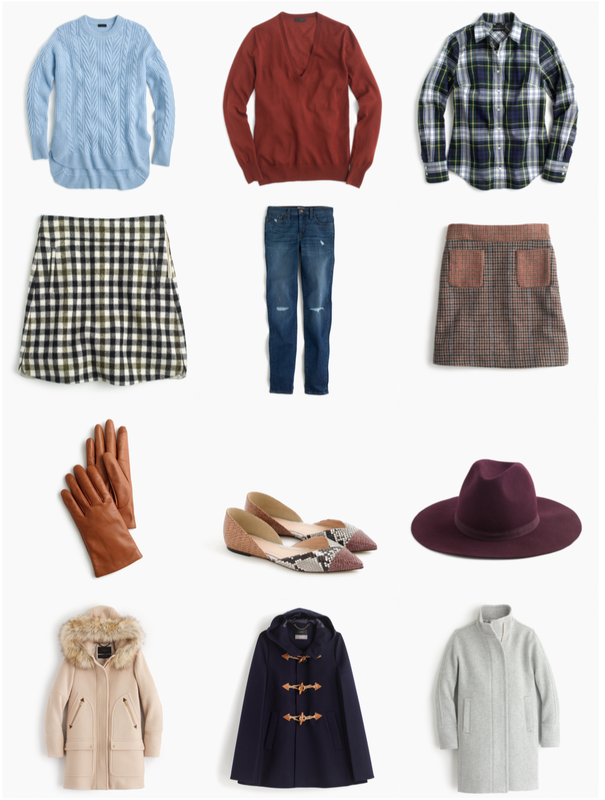 To make saying goodbye to summer a little easier, though, Madewell is having an extra 30% off sale styles with code AUTUMNUP. 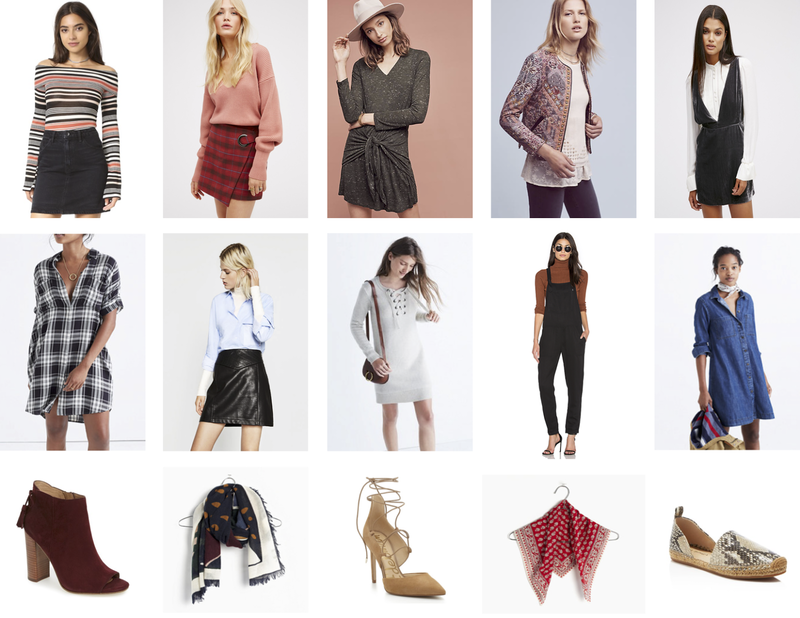 In addition to a lot of summer items, there's a fair amount of fall pieces as a nice bonus. But hurry up because they're selling out quickly (like this plaid top that I'm so bummed I missed and will definitely be snatching up when it comes back in stock). Check out my other favorites that I've rounded up below...Also, shoutout to my roommate for filling me in on the fact that Madewell accepts their student discount (15%, in store only) in combination with sale prices, so bring your IDs! 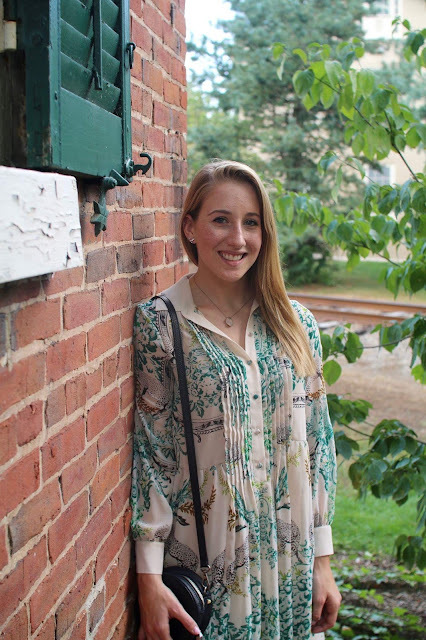 I feel like these next few weeks are prime time for fall transitional dressing, like the Goldilocks period of time when the temperature is juuuust right and leather jackets, skirts with boots, or light scarves actually keep my body at a comfortable temperature rather than excessively hot or cold. I've always had a hard time justifying purchases like leather skirts and light coats (hasn't actually stopped me but, you know, made me pause...) just because I know their time to shine is so limited. 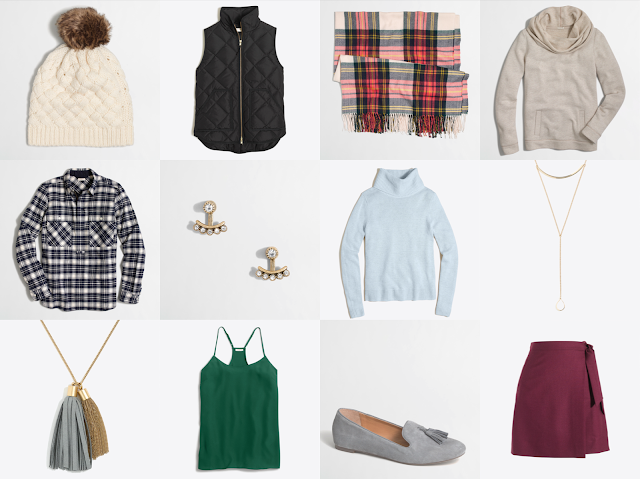 But, in case any of you are looking to up your summer/fall transitional outfit game, here are some of my favorite new arrivals that you'll actually be able to show off instead of forced to hide behind your knee-length down coat. Let me know what you think or if you have any other wish listed items! Happy September! I cannot believe the end of summer is already here. The only thing making it sweeter is the fact that there are some amazing sales happening this Labor Day Weekend. 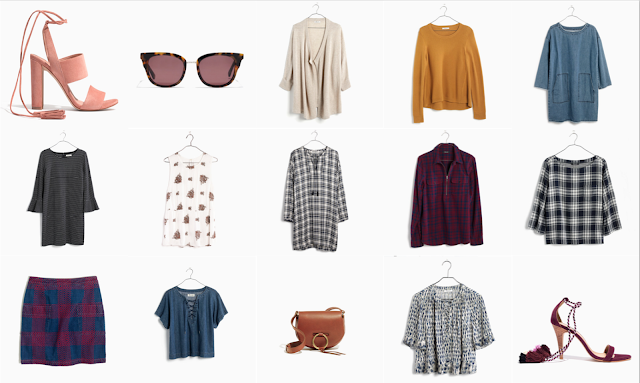 I'm telling myself to not buy anything else for summer and to focus on transitional fall pieces. So, I have my eye on this sweet shirtdress, this oversized sweater, and this lace-up dress. 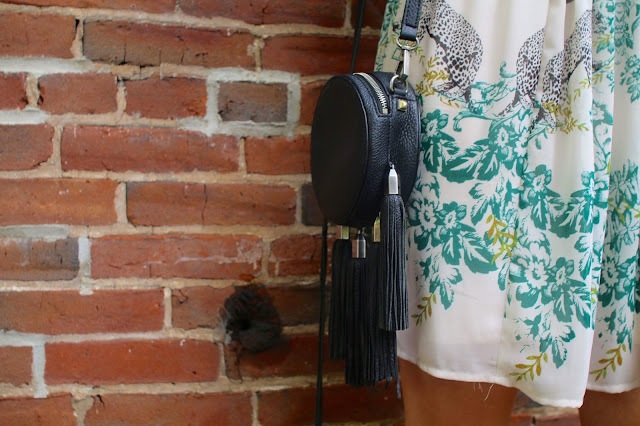 I've rounded up all of this weekend's sales below, so check them out!